Thanksgiving is just around the corner and waiting until the last minute to plan your Thanksgiving dinner can add unnecessary stress. 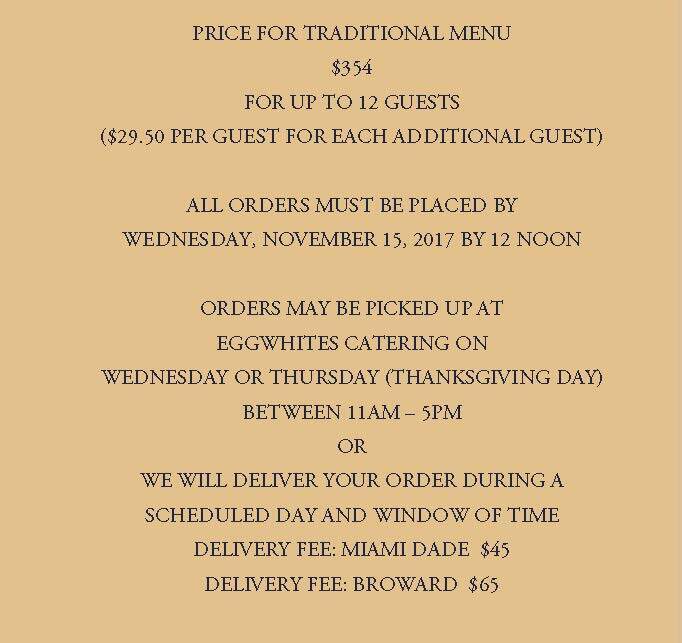 Let Eggwhites Catering prepare your Thanksgiving feast so that you can enjoy more time with family and friends. For many, Thanksgiving dinner is the most important meal of the year. 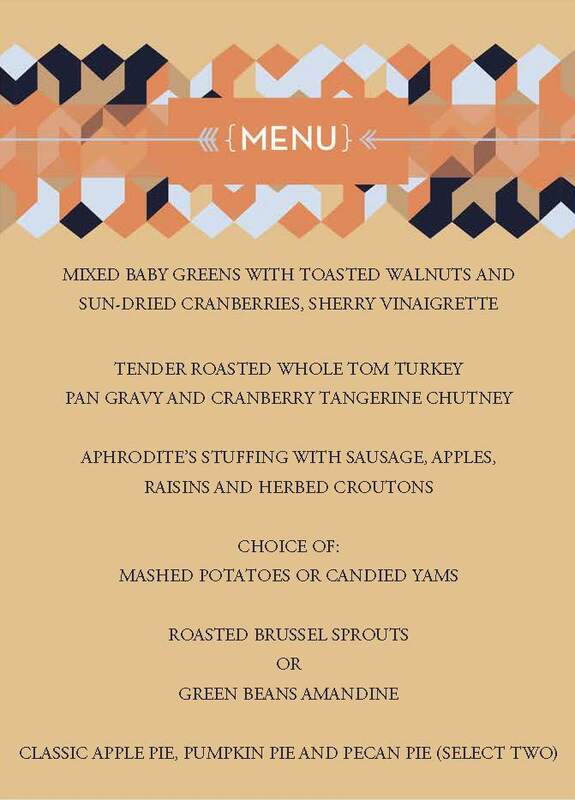 Eggwhites Catering will cook for you a delicious traditional Thanksgiving dinner and deliver it right to your door! 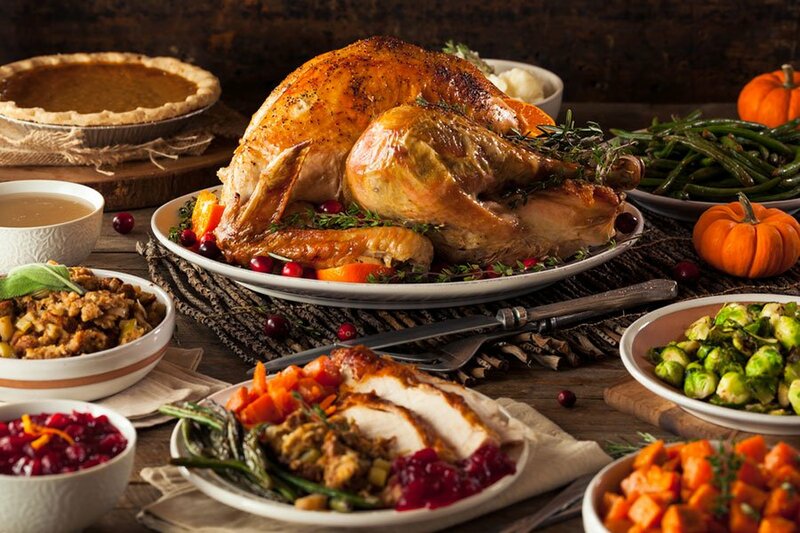 Your at-home preparation is as simple as warming the food in the oven, setting your table and then enjoying your guests while those fabulous Thanksgiving dinner aromas begin to waft throughout your home. This year, let us handle the stress and mess! A holiday feast prepared by Eggwhites will give you back hours of prep time that goes into hosting a big turkey dinner. Say goodbye to days and nights slaving in the kitchen only to sit down at the table for what seems like a split-second before cleanup begins! Doesn't a day of rest and relaxation sound so much more appealing? Eat, drink and be merry (and still take all the credit)!! Order your meal today so you can have one less item on your plate for this busy holiday season. Our menus are perfect for Corporate gatherings too!